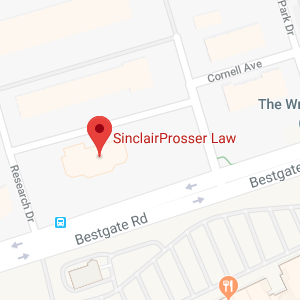 Thanks for exploring the SinclairProsser Law website; we welcome our neighbors from the Waldorf, MD area. This area is a fantastic place to live, with a rich history and a charm all its own. Plus, we have easy access to our nation’s capital, so we can take advantage of everything that D.C. has to offer. If you decide to work with our firm when you are planning your estate, you will feel comfortable from the moment that you meet us. We are committed legal professionals, but at the same time, we are everyday people who share the Waldorf community with you. When you plan your estate, you make sure that everyone that you love is provided for in the ideal manner. To make this happen, you have to explore all your options and gain an understanding of the reasons why you may want to use one estate planning device instead of another. There is no universal estate plan that would work for everyone, because each person on your inheritance list is unique, and people have different objectives. Your financial situation is also part of the equation. A last will can seem like the simplest and most efficient estate planning document to use, but there are limitations when you use a will, and there can be complications that you never anticipated. When it comes to limitations, if you use a last will to distribute your personally held property, you would be allowing for lump sum distributions. People who are not good with money could squander their inheritances too quickly, and the inheritances could be attached by creditors. Plus, when a will is used, it must be admitted to probate after the passing of the person who created the will. This is a legal process, and it comes with some drawbacks. The heirs do not receive their inheritances while the estate is being probated, and it will take almost a year if everything goes very smoothly. Complicated cases can be stalled in probate for a considerably longer period of time. Numerous different expenses can accumulate during probate, and it opens a window of opportunity for anyone who may want to challenge the estate. Since it is a public proceeding, any interested party can find out how the assets were distributed, and this is another pitfall. All of these drawbacks could be avoided through the creation of a living trust. You could include spendthrift protections, and you would not have to allow for lump sum distributions. The details would be private, and the time factor would be mitigated. A living trust is one type of trust that can be utilized, but there are many others. The ideal course of action will depend upon the circumstances. If you consult with our firm, we will make sure that you understand your options so that you can make fully informed decisions. A well constructed estate plan will address end-of-life issues. The state could appoint a guardian to manage your affairs if you become incapacitated toward the end of your life if you take no steps to prepare for this eventuality in advance. Difficulties can ensue during a guardianship if family members disagree, and there can be considerable legal expenses. To prevent problems, you could execute durable powers of attorney to name people to handle your financial and health care decision-making if you ever become incapacitated. You can also add a living will to state your life-support preferences. If you include an incapacity component within your broader estate plan, you can go forward with peace of mind. Medicaid is a government health insurance program that is important for many senior citizens, because it will pay for long-term care. Medicare will not assist with custodial care costs. It can easily cost hundreds of thousands of dollars to spend multiple years in a Waldorf nursing home, and costs have been rising every year. If you qualify for Medicaid to pay for long-term care, your legacy can go to your loved ones instead of a nursing home. Qualifying for Medicaid takes careful and informed planning, because you cannot gain eligibility if you have significant assets in your own name. We help people position their assets wisely with future Medicaid eligibility in mind. We can help if you would like to discuss your estate planning objectives with a local Waldorf, MD estate planning attorney. Send us a message through our contact page or call us at (410) 573-4818 to set up a consultation.